If you’ve been keeping a close eye on our coverage from this year’s Fort William World Cup, you will already have seen a couple of spy photos we took of Specialized’s prototype DH bike running Ohlins suspension and 29in wheels. After those original spy photos whet our appetite, we went on the search for more shots of this elusive beast and came back with gold. 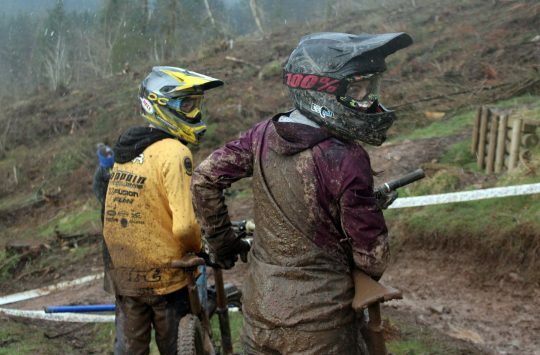 Lurking at the back of the Specialized pits. The latest prototype from Specialized reminds us of the older Big Hit design. Our plan of attack was to first hit up the Specialized pits and see if we could snap more shots, but the team mechanics were on to us and had strategically placed the prototype behind another bike. 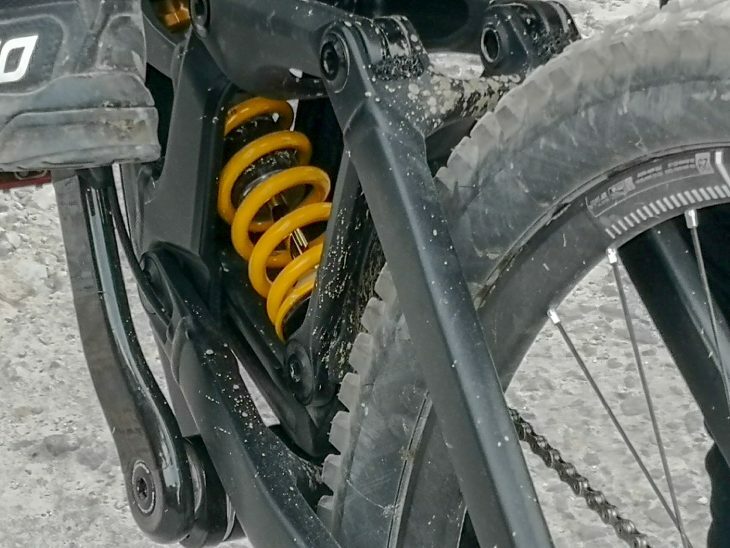 We still got some close up’s of the bike showing the larger 29in platform, with a low-slung Ohlins rear shock and linkage that looks like it came directly off the old Big Hit downhill bike. How does it work? 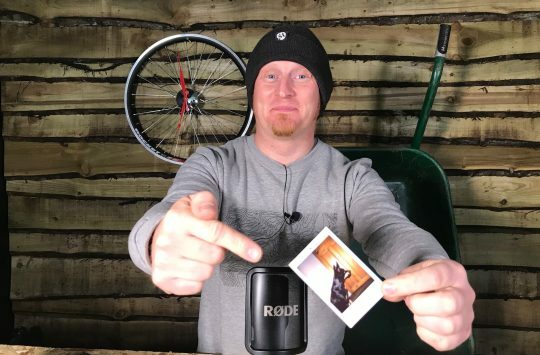 Answers on a postcard to…..
Our photos also show that the asymmetric chainstays extend past the bottom bracket and that the top shock mount is located in a flip chip which could have several other mounting options. Given Kona and Scott’s new 29er downhill bikes are featuring the option to run either 27.5in or 29in wheels in the same frame, we wondered if Specialized would go down the same hybrid route with this Demo prototype. However, the lack of adjustable wheelbase and the single brake mount position indicates that this isn’t a hybrid – it’s a dedicated 29er. Not satisfied with these photos though, we decided to hang around the finish area with the hope to spy the bike in more detail, and we did! 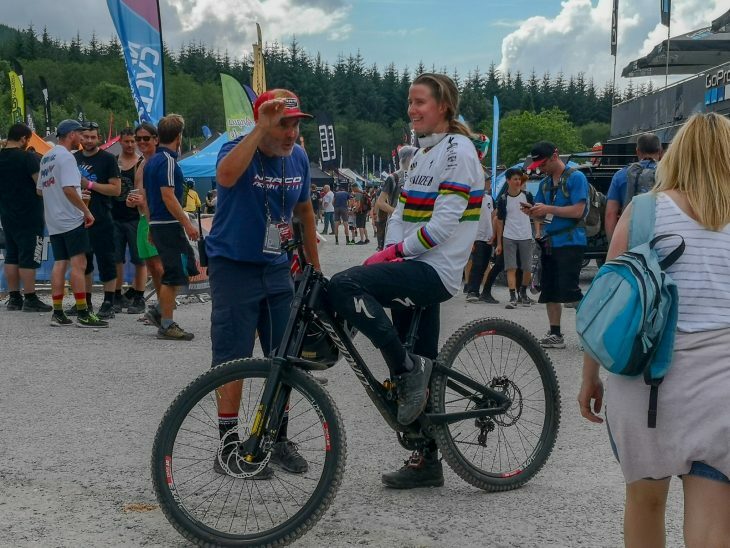 After a qualifying run which sees her start in 14th place tomorrow, Miranda Miller didn’t ride back to the Specialized pits to hide her super secret bike, but stood with friends to have a good yarn. And thankfully we had a mobile phone handy to snap these additional pics. Miranda Miller’s prototype in the wild. 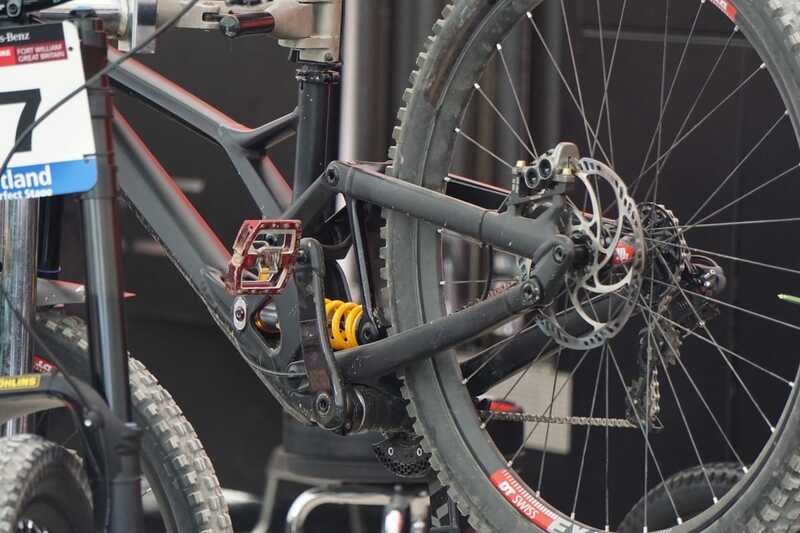 Up close with the Specialized’s prototype DH 29er. Our glimpse of the bike earlier in the day had us discussing how the rear linkage actually activates the shock. Now after studying these new photos, things are a bit clearer. 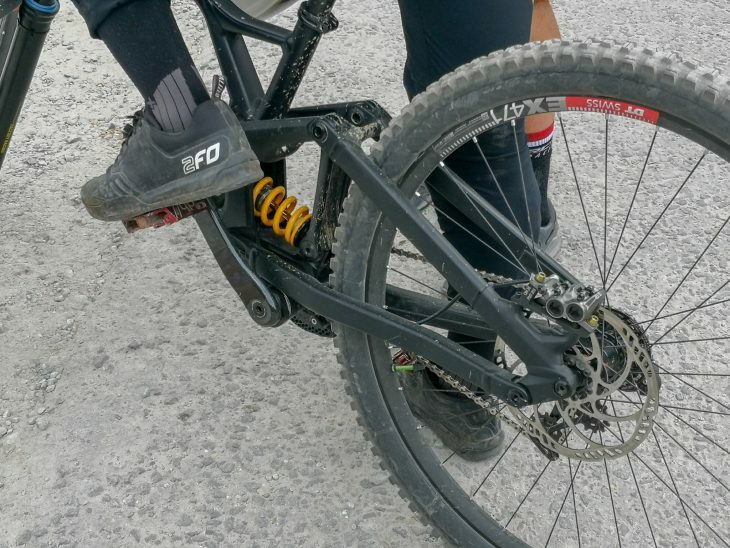 The prototype uses a four-bar FSR linkage, mostly like the current Demo and other Specialized full suspension mountain bikes. The main difference is the main pivot, which no longer rotates concentrically around the bottom bracket shell. 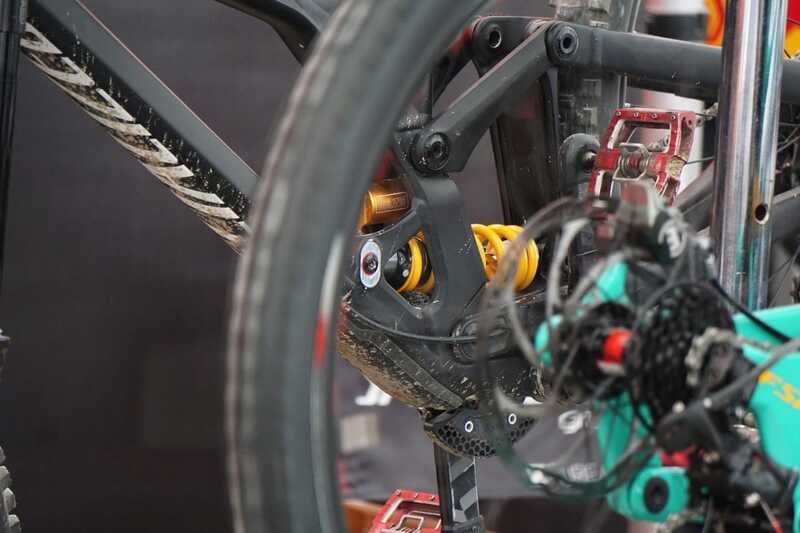 Instead, the main pivot sits higher and much more forward of the bottom bracket shell, which will have an effect on both the wheel path and the suspension kinematics. Any clearer on how this works? Also different is how the rear shock is driven. 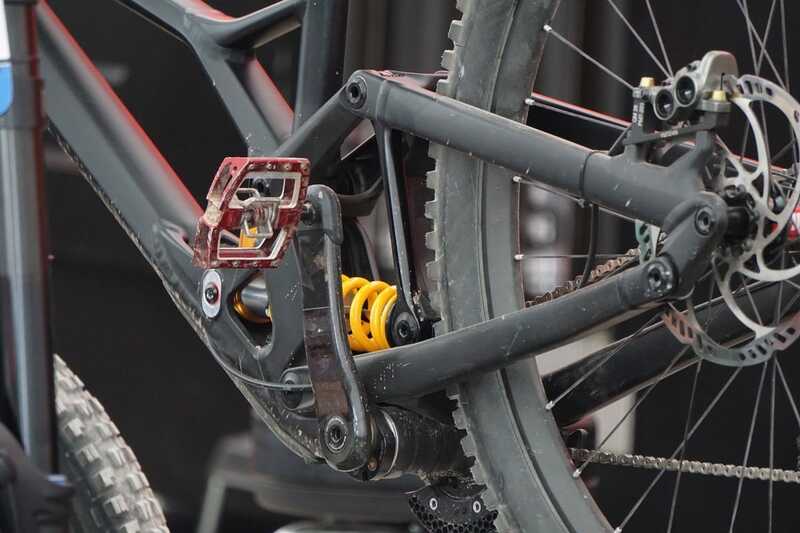 Rather than being compressed by the top rocker link, the coil shock is attached to a dogbone linkage that appears to share the same forward pivot as the main pivot of the chainstay. 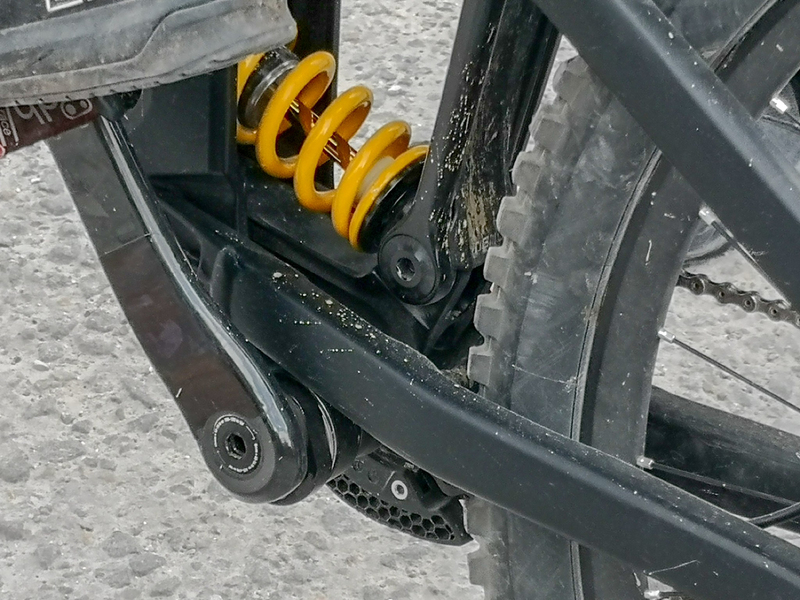 A secondary link is attached to the end of the dogbone and the rear shock eyelet, and this link is hinged at the top of the seatstays/rocker pivot. As the suspension compresses, this upper link tugs at the dogbone, arcing it forwards to drive the rear shock. Clever! Handily the placement of the rocker seems to double up as a built-in mudguard keeping the yellow rear shock out of harms way from debris spitting off the large 29in wheel. 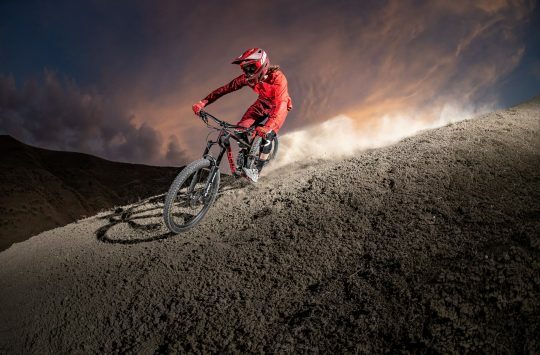 With both Finn Iles and Miranda Miller racing these prototypes we still have time to get a better idea of how this new bike actually works plus snap more photos. For more Fort William 2018 coverage hit his link.